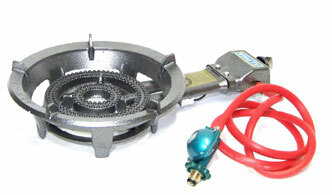 Manufacturer & Trader of Burner Gas & Pav Bhaji Burner. 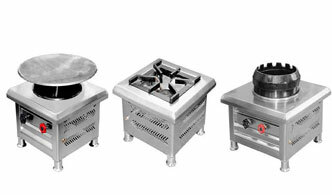 Our product range also comprises of Refrigeration Equipments, Gas Ranges and Bar Counter. Top border of 16 gauge s.s. sheet, with , provided with 1 no. H.P. L.P.G. burners with heavy duty 300 DIA vessel rest, burner provided with needle control valve and pilot lamp, with 1.1/2” dia. s.s. pipe legs.